Christmas is one of the best times of the year. Visiting family and friends to share food and festivity, and of course exchanging wonderful Christmas gifts! While gift giving can be a great way to pamper your loved ones, shopping for a gift they’ll enjoy can be a stressful experience. Endless traffic, long lines and frantic people are all part of an exhausting Christmas shop. If you don’t have time to spare this Christmas, you can pick and choose the perfect Christmas gift from the comfort of your own home. Whether it’s for a fussy eater or a distant relative, you’ll find many Christmas gift ideas that let you order ahead of time, giving you a stress-free and enjoyable Christmas. What could be better than a beautiful gourmet hamper filled with Christmas food, wine and treats? A pre-designed Christmas hamper is the best way to share Christmas with family and friends, with none of the stress or worry of Christmas shopping. Christmas hampers also make perfect gifts for secret Santa and are a great idea to send to friends and relatives who live far away. Just In Time Gourmet’s gourmet Christmas hampers have plenty of favourites like nougat, chocolate and cakes, with many unique, locally sourced products that you won’t be able to find at a regular store. Give your loved ones a beautiful Christmas hamper this holiday season or order one as an eye-catching centrepiece to share at your table, all with the click of a button. If you’re an expert in the kitchen, why not bake some Christmas themed treats for your family and friends? Making your own gift really celebrates the spirit of Christmas and will let you avoid the hustle and bustle of normal Christmas shopping. If you’re thinking of a delicious dessert recipe, be sure to check out Just In Time Gourmet’s range of dessert sauces and crumbles to add that extra special touch. For those that need a little more help in the kitchen, add some gourmet savoury sauces. They make great gifts too and can be delivered straight to your door. Do away with the big clean-up before and after Christmas by booking an all-inclusive Christmas food event! Buffets and three course meals are both great options, with many restaurants and hotels offering fun extras for the holiday season. If you’re feeling adventurous, you can even hire a cruise boat with family and friends to celebrate Christmas with a summer theme. Planning a Christmas event is the perfect way to bring your loved ones together for Christmas, without the hassle of cooking or cleaning. Best of all, you can book well in advance from the comfort of your home, giving your guests a peaceful and enjoyable Christmas day. 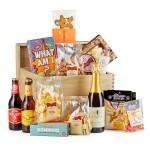 If you already have your Christmas lunch or dinner planned, a fun games hamper can be a great Christmas gift idea. Filled with plenty of treats, this hamper is perfect for getting the party started and will give you a range of games to play after your Christmas feast. Kids will love having one of these hampers as a Christmas gift, as they come packed with delicious chocolate and confectionary. You can also create your own games hamper for adult friends and family, adding in beer, wine and spirits. Make sure to check out Just In Time Gourmet’s selection of fun party games to see which ones you can add into your games hamper! If you’re dreaming of a white Christmas, maybe this is the year to plan a Christmas getaway! A shared vacation with your family or friends over Christmas is a great gift to celebrate the holiday season. Whether it’s a visit to family overseas or interstate, bringing a hamper along with you can be an easy to transport and thoughtful gift, packed with many Western Australian exclusive products. For those looking for a holiday closer to home, there’s always the great Australian tradition of travelling or camping along the coast. Christmas is a time for the simple things in life, like good food and good people, plenty of which you’ll find along Western Australia’s coastline. If you’re wanting a taste of what WA has to offer, all from the comfort of your home, don’t forget to browse the WA products section for delicious gourmet inspiration. If you think a hamper full of treats will make the perfect gift this Christmas, why not create your own personalised hamper? 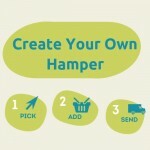 Using the customised hamper option, you can create your own hamper in a matter of minutes and tailor it exactly to your requirements. Not only is this a great option for including your loved ones’ favourite gourmet gifts, it can also help you plan around any allergies or dietary restrictions with a range of gluten-free gifts. 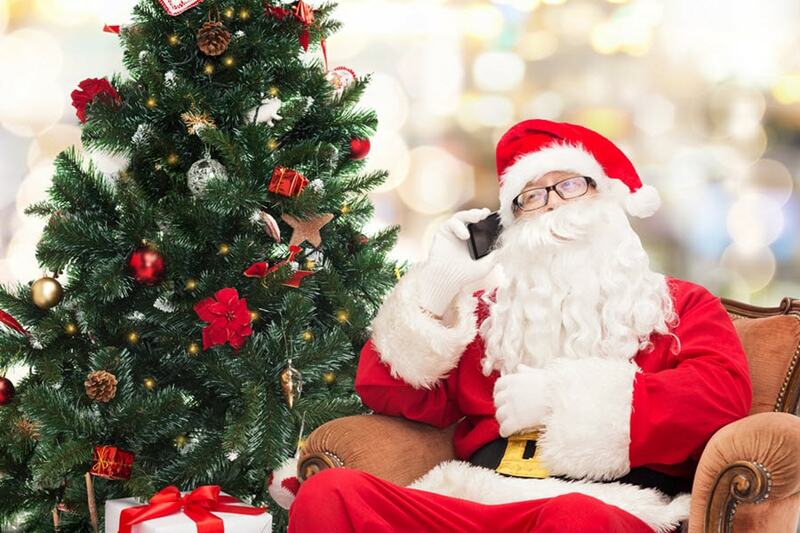 Don’t worry about giving them a gift they won’t use, you can pick from thousands of different combinations to make the perfect Christmas gift for them to enjoy. Customised hampers are a great way to match your gift to the personality or hobbies of your loved ones and are perfect for adults or kids, with prices at all ranges. Whether you’re holding a big Christmas gathering, sharing a meal with friends or visiting relatives, a customised Christmas hamper is a great gift idea which is sure to impress. Check out our range of Christmas hampers or make your own hamper today.